Its here fans, the final we’ve waited and dreamed for the last five years. Oh wait, we’ve been to two different finals in that time and came up short on both. Pardon me, its been a while since we tasted silverware other than the annual Emirates Cup. From being the platform to raise youngsters and future first teamers to an all to important trophy for the players, coach and fans world wide. Carlin Cup final is the event, Wembley is the stage and the opponents, Birmingham. From the first match we played this season in the competition, it was obvious the pressure on the coach to deliver something this year, and I for one am glad we changed our approach to it. And the benefit is a final appearance and here’s hoping Wenger’s drought in this competition can end, for those that don’t know, this is the only domestic trophy to have eluded Le Boss. He’ll have to that without his influential skipper Fabregas and Walcott, both who picked up injuries at the win against Stoke. Its a huge blow to both players but should be no excuse as the current crop can’t and must not fail to bring home the trophy. This final win might just be the catalyst the players need to galvanise themselves and move forward and win more trophies. We would all agree if I said one trophy win could do serious help to the team. On to team news, Le Boss has appointed Van P skipper on the day and Wilshere has been handed the torch to play the Fabregas role. Diaby and Kozzer are set to return in what is likely to be a slightly changed team to that against Stoke. For majority of the players, this would be their first final as Arsenal players and there’s the incentive to break their ducks and bring smiles to faces of frustrated fans. I’m looking forward to the battle with Brum as they certainly would be no pushovers, the constant pumping of balls to giant front man Zigic and their tireless midfielders. We won both duels in the league but this is a different ball game and they’ll definitely fancy their chances. For inspiration let’s look no further than Samir Nasri who’s art and craft is going to be essential, for creativity and orchestration, Wilshere holds that and for precise and deadly finishing, RVP steps into the shoes. Our rearguard action has to be top notch for us to win. An early goal and two before half time would put the tie to bed. Let’s hope the players are shorn of any complacency and are as pumped as the fans. 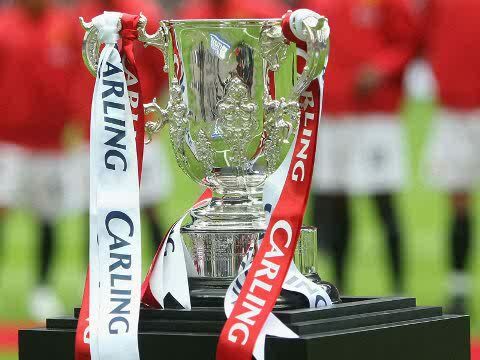 Let’s go out there and end the trophy wait, its been long coming and deserved. I hope the players remember this when they take to the field.